Q: What plans are you making in preparation for the risk of congestion at main ports, particularly Dover? A: The vast majority of our movements are via the Short Sraits. This is the quickest and most efficient way to reach the continent, with more crossings per hour that any other route and more capacity. We are looking at other options, supported by our recent acquisition of CCC which gives us access to the unaccompanied routes into Belgium and Netherlands across the North Sea. We have looked at all alternative options and routes to mitigate against potential impact, which may involve using alternative entry/exit points. However, since the short straits currently take c. 90% of all traffic, this is where the capacity currently exists, and the frequency and capacity does not currently exist on other routes and ports, so given the market place will be looking for the same solutions, it is almost inevitable that crossing times between the continent and UK will be compromised. It is also likely that compromise in transit means more trucks are required, operating to a lower level of efficiency, which is likely to push up costs. Q: Are you planning to use air freight instead of or as well as road/rail? A: Europa has an airfreight division so is well placed to offer customers such solutions. Of course the cost differential to serve Continental Europe by air instead of road is likely to be much higher. Q: Will my business in the UK still have access to markets on the same terms as now once we leave the European Union? A: This very much depends on what is agreed between the UK and EU authorities, and could be different depending on the outcome of a transition deal, future trade agreement or a No Deal. For the details on what to expect for a No Deal and what it would mean please see here (UK Government technical papers on preparing for a No Deal Brexit) or here (European Commission preparedness notices). Q: What is an EORI number and will I need one? A: An Economic Operator Registration and Identification number (EORI) is a European Union registration and identification number for businesses which undertake the import or export of goods into or out of the EU. Businesses which have previously only traded within the EU will need an EORI number to trade outside the EU and if the UK leaves the EU with no agreement in place. Applications can be made through your country government website. Europa will need your UK EORI number when making customs declarations on your behalf. 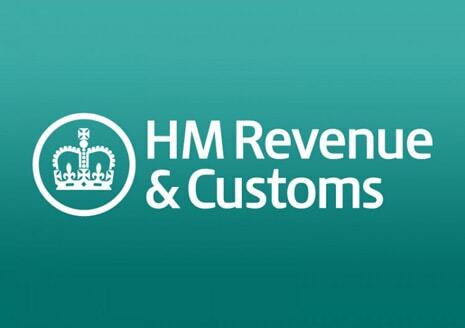 Q: For UK customs declarations will Europa migrate to the new HMRC Customs Declaration Service (CDS)? Q: Are there any restrictions on particular goods for different countries? A: There are currently prohibited goods to and from most countries, generally published on the relevant country government websites. Q: How could Brexit affect VAT on goods? A: If the UK leaves the EU without an agreement, the UK Government have advised in their no deal planning notices that they will introduce postponed accounting for import VAT on goods brought into the UK. This means that UK VAT registered businesses importing goods to the UK will be able to account for import VAT on their VAT return, rather than paying import VAT on or soon after the time that the goods arrive at the UK border. This will apply both to imports from the EU and non-EU countries. 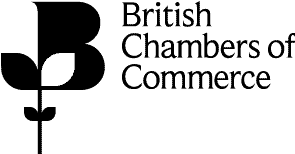 Q: How might a No Deal Brexit impact my business? A: The UK & EU Authorities have advised in their planning notices that, in the result of a No Deal,UK trade with the EU will be on WTO terms. Free circulation of goods between the UK and EU would end, so businesses would have to apply the same customs and excise rules as to countries outside the EU. Details on this can be found in the planning notices from the UK Government and the EU, which state that businesses would need to provide import or export declarations, revise their International Terms and Conditions of Service to reflect that they are an importer or exporter, and provide an import or export licence for controlled goods. Custom checks may be carried out and VAT import duty and any other duties would be payable. The carrier of the goods would have to make entry or exit safety and security declarations. Q: What plans are you making for No Deal Brexit? Enhance the processes within our own, in-house TMS to manage the end-to-end processes for importing and exporting goods including facilities for management of payments of duty and VAT in the swiftest way possible. Expansion of the ETSF and Customs Bonded Facility at our Dartford hub to minimise the need to perform customs clearance at the port of entry thereby allowing us to perform clearance at inland border points rather than Dover/Calais. Utilising unaccompanied services and alternative ports of entry and exit and leveraging our increased fleet capacity and relationship with shipping lines as a result of our recent acquisition, Continental Cargo Carriers. Offering access to Europa Air’s Global Consolidated airfreight programme. Increasing the team within our European Operations by 40 people, in order to facilitate customs formalities. In addition, we are in the final stages of accreditation under the Authorised Economic Operator (AEO) scheme and we have already completed a remodel of Dartford hub which gives us double the operating capacity. At this stage, and with no clear, obvious outcome, we believe we are preparing to the maximum degree we are able to. If you make taxable supplies (standard rated, reduced rated or zero rated), you have to account to HMRC for the VAT due. This is output tax. 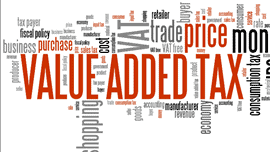 You’ll normally charge the VAT to your customers….. Read more. We’ll continue to update you and support you as much as we can and our team are our team are happy to assist with any queries you may have.